I am generally a skeptic of the “generic ballot” question. This is the one that asks if you plan to vote for a Democrat or a Republican in an upcoming congressional election, and Democrats always seem to hold a big lead. But then that lead fades away, and in the end they either win by a small amount or lose outright. 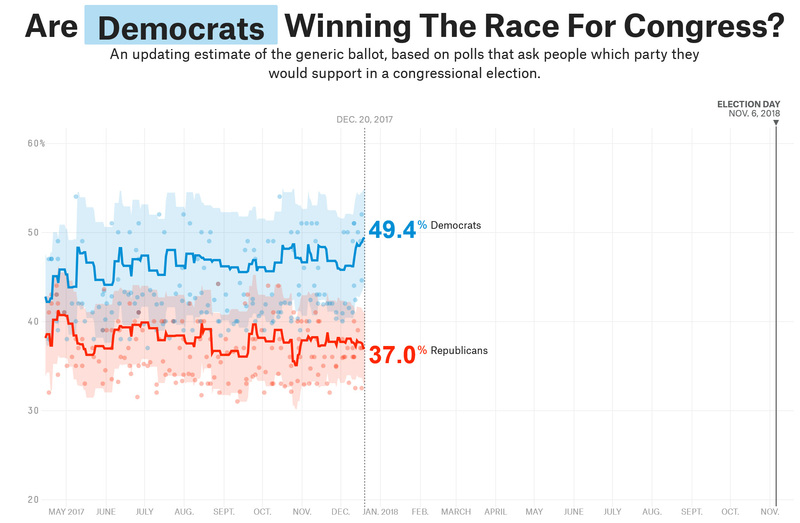 But I have to admit that the current generic ballot is pretty impressive: according to 538, Democrats are leading by a whopping 12 points. And the folks at 538 claim that generic ballot results a year ahead of the election are actually pretty predictive: anything above 5 points for the out party translates into a big win in November. So perhaps there’s some genuine cause for optimism here.